1978 was not a good year. My family moved to Traverse City to open a Logos Bookstore. When we got to town, my Mom took me to enroll in school. Turned out we were at the wrong place—she was trying to enroll me at the school in the mental hospital! We asked for directions to the Junior High. Did I mention I was going into the eighth grade? Goodness! We lived in a house on Duck Lake. It was a beautiful house and the lake was incredible. The only problem was that the house was very remote and not a lot of people around (especially during the winter), my oldest brother and sister were away at college, my Mom and Dad were opening a new business so they were gone most of the time, my sister (and best friend) was away at the Interlochen Arts Academy from Monday through Friday, I was at a new school, didn’t have a church community, and in junior high. Did I mention I was in eighth grade? I was lonely. Really, really lonely. But I guess I should back up. What I really want to share happened a few weeks ago at a Sacred Journey retreat. The retreat started on Friday night. We had a time of corporate worship, a bit of teaching, and then we were sent off by ourselves to reflect on our image of God. I struggled with this. No images came to mind. 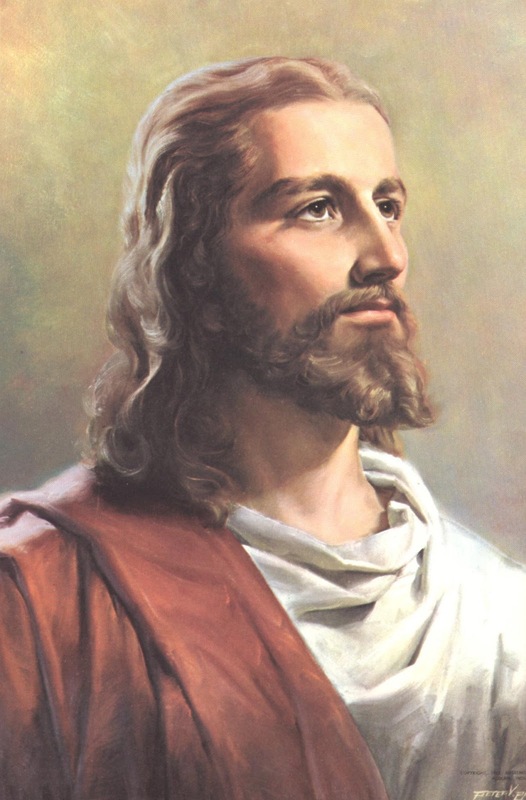 I had images of Jesus – the classic painting of Jesus. 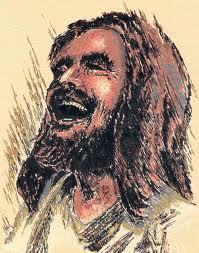 Or one of my personal favorites, the painting of Jesus laughing. But what about images of God? 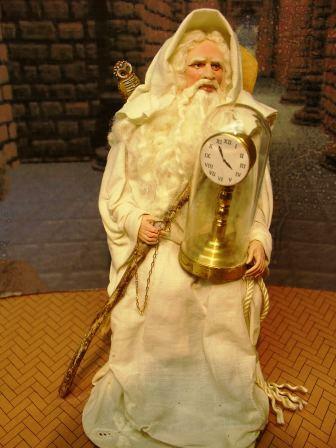 Maybe Father Time. Or someone really far away up in the heavens like Michelangelo’s Sistine chapel. Continued reflection brought one word to mind – absent. What? I was aghast! I know God isn’t absent. I would never say that God is absent. Why was this word the only thing I could think of when reflecting on God? I was very unsettled with the evening. I went home that night rather disconcerted. Saturday morning started off with teaching about spiritual disciplines. Then we were sent off for additional personal reflection. This time we were encouraged to reflect on the previous day, week or even year. When had we seen God working? Our director said we could even consider a seven year segment of our life and use that time span for reflection. I thought that sounded like a good idea. So I drew a timeline for my life. Then I dutifully segmented it out in seven year increments. The next thing I knew I was writing down the year 1978. Huh? That seemed odd. What was up with 1978? But I just went with it and started reflecting on that year of my life. As I mentioned – not a banner year. I’ve always been an extrovert. And yet in 1978 I found myself alone much of the time. As I spent time reflecting, I asked myself – where did I turn for comfort during this difficult time? I hated to admit it but I turned mostly to food. I would come home from school and make myself a box of Kraft Macaroni & Cheese for dinner. And proceed to eat the entire box. Then my favorite treat for dessert? A nice bowl of powdered sugar. Kinda sad. There were other comforts too… watching re-runs of The Six Million Dollar Man (yes, I was in love with Lee Majors)…reading romance novels by Victoria Holt…or just daydreaming as a way to escape. I felt like God was absent. As I continued to reflect, I remembered that our director told us to be sure to have a balanced reflection time. To not just reflect on all positive times nor all negative times. So I asked God to show me a time when He WAS present during 1978. And He did just that! He brought to mind a wonderful image of me in a sailboat with my Dad. We owned a 2-man sailboat that my Dad loved to sail. 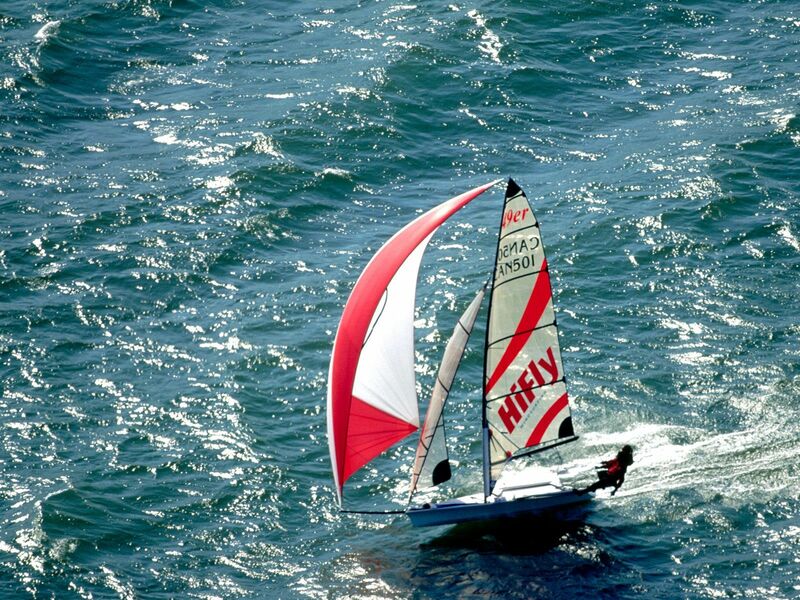 We would go out on the water, catch the wind, and really get the sailboat moving along the water. The wind would blow in our faces, the boat would tip up on its side, and we would skim along the water. It was exhilarating and exciting! And God was there with us in that sailboat. It made me think of other times when Jesus was with his disciplines in a boat…fishing…calming the storm…Peter walking on the water. This beautiful image of God with us while sailing began a wonderful process of healing an old wound. I found myself refreshed, renewed, and in awe of God. God WAS with me in 1978. Even though it was such a hard year, He was there helping me through it. And even now He was healing me of past wounds. Now any time I see a sailboat I will be reminded that God is with me.